There’s a famous line in The Godfather Part II which goes like this: Keep your friends close, but your enemies closer. This quote makes profound sense when you’re studying your competition to arrive at the perfect online marketing strategy for your business. Here’s the truth: You can learn a lot from your competition. Especially if you’re a marketer. Competitor analysis can help you get insights into strategies that are working for your competition, so you can adopt them and improve upon them to gain an edge. The first step in competitor analysis is to identify your current and potential online competitors. 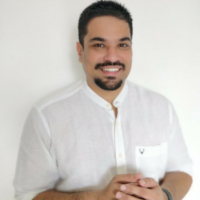 It’s important to understand that the online competition landscape is completely different from the regular brick-and-mortar concept of competition. 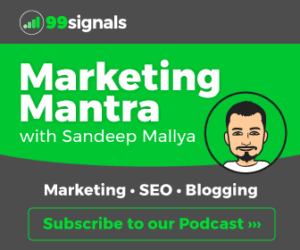 This is where a tool like SEMrush can help not just to identify your closest organic competitors, but also gather data that can help you develop a robust marketing strategy for your business. In this article, we’ll show how you can leverage various tools within SEMrush to do competitor analysis and help you create an online marketing strategy that outperforms even your fiercest competitors. Note: To get the most out of this article, you’ll need an active SEMrush subscription. If you don’t have an SEMrush account yet, you can get a 14-day free access to SEMrush PRO by clicking here. The first task is to identify your organic competitors. 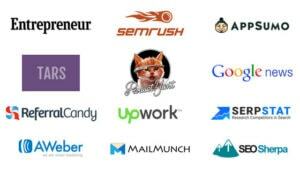 These are the domains that are sharing the search engine real estate with your domain for all the important keywords. To get started, login to your SEMrush dashboard, enter your domain into the search bar, and select ‘Organic Research’ in the drop-down. Next, click on ‘Competitors’ to view a list of sites that rank for the same organic keywords as your domain and therefore, compete for the traffic these keywords can generate to a website. Neil Patel’s blog contains a treasure trove of marketing articles. Therefore, it was no surprise to find that the blog shares a lot of common keywords with top marketing websites such as Backlinko, Kissmetrics, Wordstream and Moz. Scroll down to see the complete list of domains that are competing with your site. These domains are ranked automatically by competition level. The competition level is based on the analysis of the number of keywords two domains share in common. So, the more keywords two domains share in common, the more likely they are to compete with one another. You can also sort the report by the number of common keywords you share with each of the domains. RELATED [Answered] How Long Should a Blog Post Be? 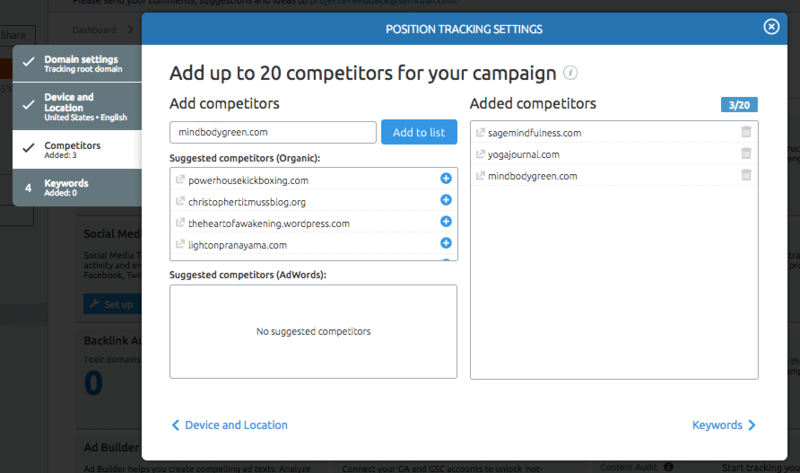 The Position Tracking tool lets you track your site as well as your competitors’ sites’ daily rankings for a custom set of target keywords. The tool allows you to track and compare your rankings in multiple geographic locations or device types and discover new featured snippet opportunities. 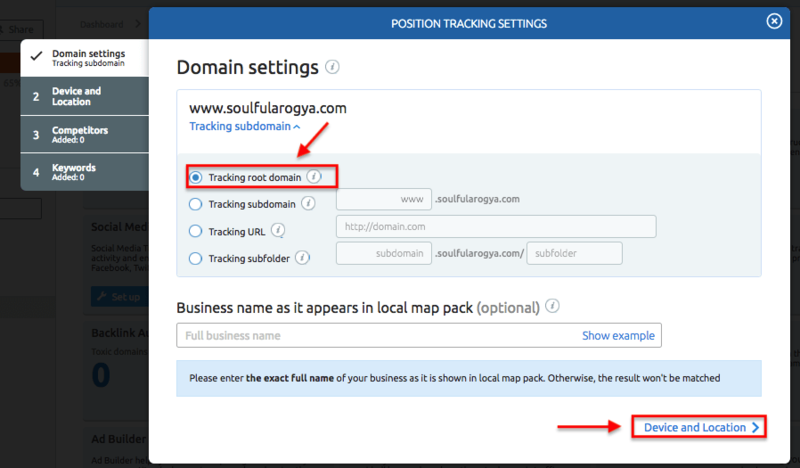 To use the position tracking tool, you need to first create a new project on SEMrush. Once your project is created, you can set up position tracking campaigns for your domain as well as your closest competitors’ domains. You can add up to 20 competitors to your campaign. Let’s deep dive into the configuration of the position tracking tool. From your project dashboard, click on ‘Set up’ under Position Tracking to open the configuration window. Here, you’ll notice that your domain is listed by default. Open the settings drop down, select “Tracking root domain” option to get the best data possible. Next, click on Device and Location at the bottom of the window to specify the location and device type of the search results you want to track. In the next step, you can add up to 20 of your competitors. You can either add these competitors manually or rely on SEMrush’s autogenerated list of suggested organic and AdWords competitors for your domain. 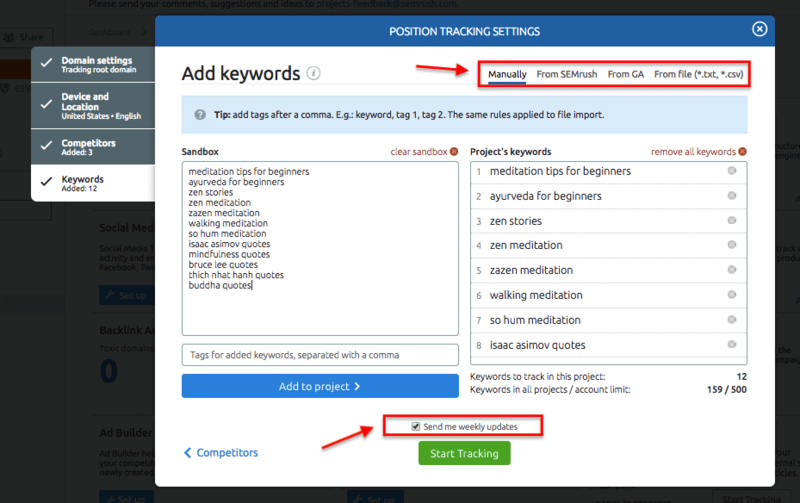 The final step is to add the keywords you’d like to track in your position tracking report. You can add keywords manually, from SEMrush reports, from Google Analytics, or from a TXT or CSV file. Once you’ve entered all the target keywords, hit the “Add to project” button and then hit the “Start Tracking” button to start your position tracking campaign. I’d also urge you to receive weekly position tracking updates via email. To enable this option, click on the small checkbox above the “Start Tracking” button. The position tracking report will show you a summary of your domain’s (and your competitors’) visibility, estimated traffic, and average position for all the keywords you’re tracking. The Keyword Gap tool within SEMrush allows you to add up to five domains and compare different types of keywords (organic, paid, or PLA keywords) between them. To get started, go to Gap Analysis -> Keyword Gap and enter the five domains you’d like to compare. You can use data from the Organic Research Competitors report to identify the domains that share the most similar keyword rankings as you. Next, select the keyword type. You can compare organic, paid, and PLA keywords between domains. Next, select the intersection type by clicking on the Venn diagrams next to each domain. Intersection type determines what keywords the tool will present to you. Each intersection type will be able to tell you something different about where you stand within the competition. For instance, “All Keywords” gives a complete overview of all the keywords your competitors are getting their traffic from. Similarly, “Common Keywords” lets you see the keywords where both websites have a ranking. Once you’ve selected the keyword type and intersection type, you can start the tool by hitting the ‘Go’ button. To dive deeper into the data, use the filters available. You can add filters for words to compare keywords around a specific subject. By using these filters, you can get more specific and find gaps where you should take action. Link building is one of the most challenging aspects of SEO and a tool like SEMrush’s Backlink Gap can make life much easier. With the Backlink Gap tool, you can analyze the backlink profiles of up to five competitors. This data can then be used to identify untapped link building opportunities. To get started, go to Gap Analysis -> Backlink Gap and enter 5 domains that you’d like to compare. If you’d like to view the backlink opportunities that you’re missing, enter your own domain and then four of your closest competitors. Once again, you can obtain this information from the Organic Competitors report. 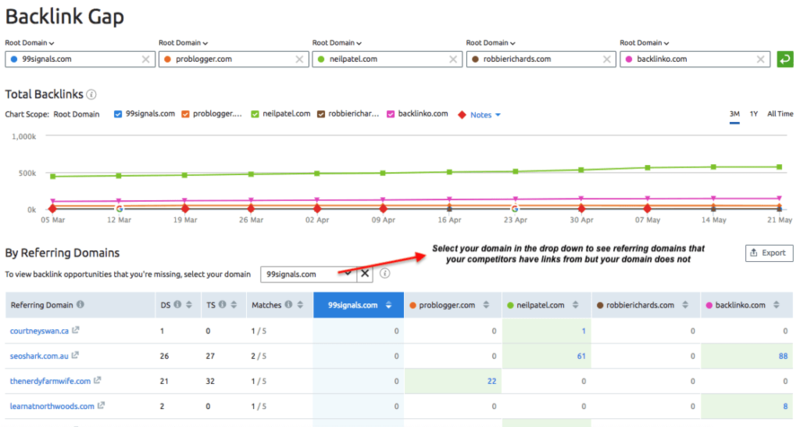 After entering your competitor domains, hit the green button and allow SEMrush to populate the data for you. The Backlink Gap tool will return with a graph and a table depicting the comparison between the five domains’ backlink profiles. You can get a quick look at which competitor is building the most new backlinks with the trend graph at the top. Now it’s time to identify untapped link building opportunities for your domain. This means we need to look for referring domains that your competitors have links from but your domain does not. To view this data, select your domain in the drop down above the table. These websites could be your next link building targets since they are linking to your competition sites, but not yours. The Quick Batch Comparison Tool is an easy-to-use tool that can help you compare your backlink profile with multiple competitors to discover link building opportunities and gauge how far behind (or ahead) you are of your competition. But you may be wondering. What’s the difference between Backlink Gap and Quick Batch? The Quick Batch tool has a much wider scope. While the Backlink Gap tool works for comparing the scope of 6 domains, this tool helps you compare up to 200 URLs from various websites. To use this tool, head to Gap Analysis -> Quick Batch and enter up to 200 URLs (one per line) into the box at the top of the report. SEMrush will return with data on how many backlinks and referring domains point to each URL. Social Media Tracker is a tool within SEMrush that lets you take a look at the overall performance of your competitors’ social media profiles. Essentially, you can use this tool to compare your social presence with your competitors’ social profiles on three basic metrics: audience, activity, and engagement. To get started, go to your project dashboard and click on the “Set up” button under Social Media Tracker. This will open the configuration window where you’ll need to connect your social accounts (Facebook, Twitter, YouTube etc.). In the next step, you need to enter your competitors’ domains. You can add up to 20 competitors. Depending on the social networks that you’ve connected, SEMrush will automatically populate this data for you. Once you’ve entered all your competitors’ domains, hit the “Start Social Media Tracker” button. In a few seconds, SEMrush will return with an overview report that shows the select company’s audience size, activity, and engagement on each channel. Select the data range that you want to analyze. This data will reveal where your competitor has the biggest audience, where they post most frequently, and where they get the highest engagement. Next, scroll down to the Top Content section to see your competition’s most engaging post over the given time frame. You’ll see their social media posts that got the highest engagement. And finally, scroll further down to arrive at the “Comparison with Competitors” graph. Here, you can compare your social presence with your competitors on three metrics: audience, activity, and engagement. Change between comparing audience, activity or engagement with the titles at the top left. And then choose to sort by the total number, change, or growth (%) at the top right. You can also add and remove any of the social networks from this data with the blue and red squares below the graph. In order to establish an endurable competitive advantage, you need to determine your competitors’ strengths and weaknesses and create strategies to provide you a distinct advantage within your segment. And a tool like SEMrush allows you to do just that and more. 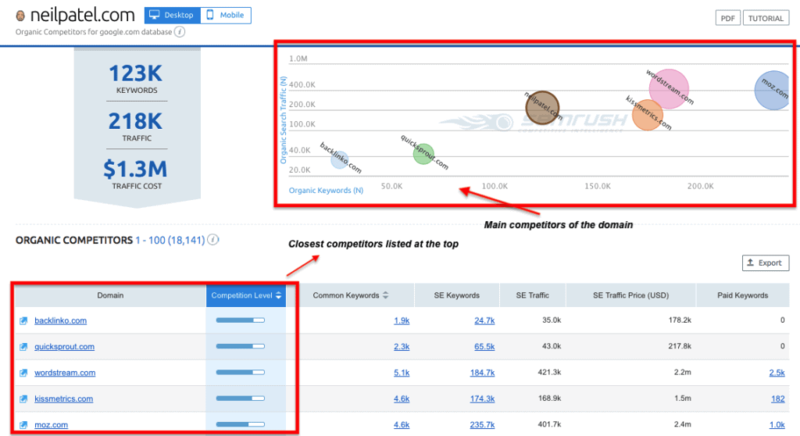 I hope this article has shed light on the tools within SEMrush that can help you with competitor analysis. In fact, SEMrush is a powerful digital marketing software that can help you with more than just competitor analysis. Read my full review of the software, or start your 14 day free trial to test it out for yourself! Thanks for sharing these tips. I have to be honest…I totally underestimated how important competitive analysis was until I started using SEMrush – it wasn’t until I had all the data right there in front of me that I realized how many valuable insights I’d been missing out on (and how silly I’d been). I went through a period of using the Backlink Gap report on a daily basis to catch up on the backlinks that I’d been missing (this took a while! ), and it more than proved its worth. I couldn’t recommend it more.